I would tell others that they can trust the agents who handle them. I think they are very on top of changes, adjustments, and other industry knowledge. They respond really quickly. If I have a question, it always gets addressed. They have been very honest whenever there has been any discrepancies with anything. Great customer service, every person I have spoken with has been friendly. They are fantastic, very helpful, budget conscious, and overall good people. Probably Bob, he is amazing and very responsive. If I ever have any question, I shoot an email and get a response within 30 minutes or so. Bay Area Health Insurance Marketing, Inc. works with families and businesses throughout the Bay Area to find life and health insurance policies that fit their particular situations. 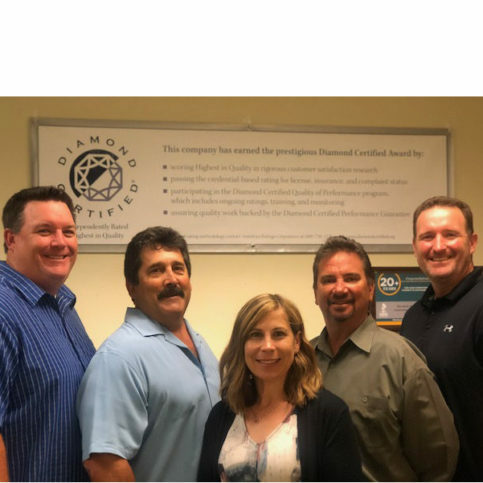 In addition to providing insurance services, the company is an Employee Benefits Specialist and helps small-business owners, company employees, and independent contractors with all types of benefit plans. It also provides advice and counsel on topics such as plan designs and underwriting considerations. 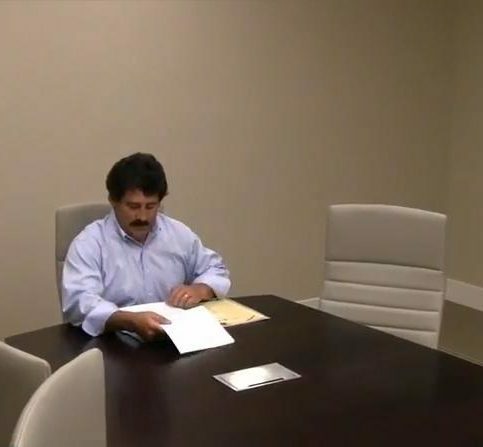 Owner Bob Vinal has been working in the insurance industry for more than 30 years, handling everything from plan design to claims and rating structures. “Our original goal was to provide personal service for every client, and we’ve continued that to this day,” he says. 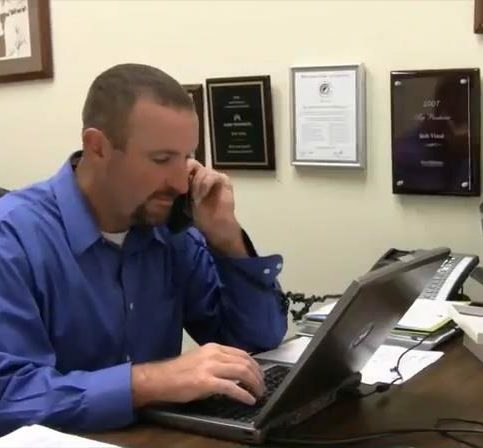 In an effort to maximize convenience for its clients, Bay Area Health Insurance Marketing also provides administrative assistance for issues such as billing and claim discrepancies, additions and deletions to insurance plans, and COBRA compliance. “We’re a hands-on agency, so we’re always available to answer questions and resolve employee claims problems,” says Mr. Vinal. 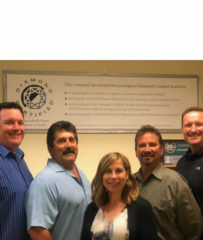 DIAMOND CERTIFIED RESEARCHED CAPABILITIES ON Bay Area Health Insurance Marketing, Inc.
Company Name: Bay Area Health Insurance Marketing, Inc.
DIAMOND CERTIFIED RESEARCHED ARTICLES ON Bay Area Health Insurance Marketing, Inc.
Bay Area Health Insurance Marketing works with businesses and families throughout the Bay Area to find health care, life and disability insurance policies that fit their particular situations. In addition to providing insurance services, the company is an employee benefits specialist and helps small business owners, company employees and independent contractors with all types of benefit plans. It also provides advice and counsel on topics such as tax and legal regulations, plan designs and underwriting considerations. Determine your company’s needs. A qualified, independent group specialist can work with you and your employees to identify which benefits offer the best value for your organization. It’s important to gather the necessary information through past claims experience, employee surveys and seminars. Understand the types of coverage. Group insurance contains many components—life insurance; disability insurance; health, dental and vision coverage—and many of these categories also have several sub-categories. It’s crucial that both you and your employees understand the value of the various options. This will help control costs while maximizing the perceived value of the plan to employees. Know the insurance company. Many group carriers price their products aggressively in an attempt to earn new business, but when it comes time to renew coverage, they’re just as quick to increase premiums. Other insurance companies prefer to avoid certain types of businesses and price their plans accordingly. Work with your broker to determine which insurance companies are receptive to your type of business and which companies have a hassle-free claims process. Work with an independent employee benefits specialist. An independent specialist gives you the advantage of comparing the costs and benefits of many group insurance carriers, as opposed to a sales agent who is generally limited to promoting a single insurance carrier’s products. Look for an experienced group specialist with proper credentials who comes recommended and is trusted within the business community. Ask for references or testimonials from existing clients. Regularly review your plan with your broker. Your employee benefit needs can change with plan usage and your company’s business cycle, but your broker can offer recommendations to address these issues. “Plans change and carriers come up with new ideas all the time, but a good broker should keep on top of these changes for you,” says Bob Vinal, owner of Bay Area Health Insurance Marketing, Inc. in Menlo Park. There are many steps you can take to contain your costs, including increasing your deductible to keep in line with inflation, implementing annual maximums on certain components of the plan and setting a cap on plan dispensing fees. Q: How can I lower my insurance premiums? A: There are a variety of ways to lower insurance premiums. First, you should shop around and see what other carriers have to offer. You can also try moving to a high-deductible plan or adding a health reimbursement or savings account. We can negotiate with your insurance company to keep cost increases down. Since we handle a large number of clients, we have more negotiating clout than our clients do individually. Q: Is my company required to offer employee health insurance? A: Not at this time, but regulations regarding health insurance mandates are always changing. Part of our service is keeping our clients up-to-date on the latest changes. Q: How many employees do I need to qualify for group insurance? A: You only need a total of two employees to qualify for group insurance. Q: How much does my company have to contribute to employee insurance plans? A: There’s no mandatory level, but most insurance companies aren’t willing to offer a group plan unless the company pays at least 50 percent. Q: Can you help my company manage its insurance plans? A: Yes. We’ll work with your employees, explain the benefits to them and make sure they’re enrolled in the right plans. We do the same with new employees and additional family members (in the case of a marriage or birth). And if you have to terminate an employee, we’ll work with them to make sure everything is processed correctly. Q: Can employee contributions be taken out pre-tax? A: Yes, but it’s not a straightforward process. You need to implement a Section 125 premium conversion plan. We can help set that up for you. Q: Do I need to provide COBRA coverage for my employees? A: If your plan covers 20 or more employees, you need to be COBRA compliant. We’ll work with you to make sure you meet all the regulatory requirements. SELECTED PHOTOS FROM Bay Area Health Insurance Marketing, Inc.
John Langridge answers a client’s questions. Bob Vinal double checks some documents. Bob Vinal is president of Bay Area Health Insurance Marketing, Inc., a Diamond Certified company since 2011. He can be reached at (650) 273-0330 or by email. 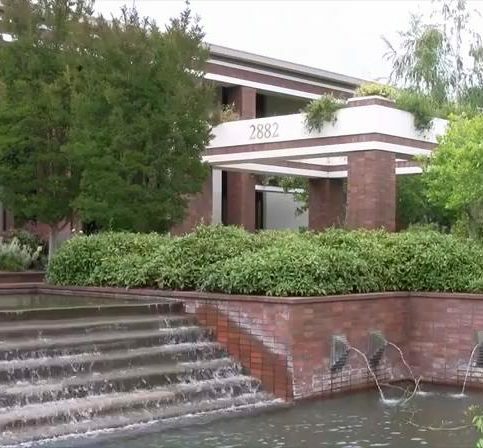 MENLO PARK — Following college, Bob Vinal wasn’t entirely sure how he would apply his communications degree in the professional realm, but after accepting a job offer in the insurance business, he found it to be a perfect fit. “My brother was selling life insurance and needed someone to help out with employee benefits,” he remembers. “As a communications major, I’ve always been one for gab, so when I got into insurance, I really enjoyed having the opportunity to talk with people on a daily basis.” After gaining further industry experience over the next few years, Bob decided to strike out on his own and founded Bay Area Health Insurance Marketing, Inc. in 1987. A resident of Santa Cruz (where he lives with his wife, Trudy), Bob expresses his appreciation for the Bay Area’s characteristic attributes. “I love the weather and the people here—plus, as a sports fan, I love watching all the Bay Area teams.” Outside of work, some of Bob’s pastimes include coaching high school football, surfing, golfing, and barbecuing with friends and family. He also likes to keep in touch with his and Trudy’s three grown children: Therese, who works for the San Francisco Giants; Michelle, who is earning her master’s degree at Cal State Fullerton; and Matt, who recently graduated from University of Las Vegas. A: It depends on the time of year. During baseball season, it’s the San Francisco Giants; during football season, it’s the San Francisco 49ers; and during basketball season, it’s the Golden State Warriors. A: A dog person. I have two dogs, Bruschi and Bella. A: I played football and was the rally commissioner. A: Fall, because football starts. MENLO PARK — A Section 125 Premium Only Plan (POP) is an essential part of any employer group health insurance and ancillary benefit program. Section 125 is a part of the Internal Revenue Code that legally allows employees to make their benefit contributions with pre-tax dollars. A Section 125 POP can benefit employers and their employees alike. A Section 125 POP can save an employer money in a couple of ways. First, it reduces the amount employers must match of their employees’ Social Security and Medicare Taxes. Additionally, it can lower an employer’s workers’ compensation premiums. Employees avoid paying any income tax on premiums they pay through POP. The premiums are actually deducted before the taxes are calculated. Keep in mind that employees are still subject to California state taxes. Additionally, an employee must have a legal document set up by their employer in order to have premiums taken out on a pre-tax basis. 1. Offering employee health benefits is prohibitively expensive. Health insurance isn’t cheap, but for employers, it’s not as expensive as many people assume. For example, some employers mistakenly think they’ll have to cover their employees’ coverage costs in full. In reality, employers are only legally required to cover 50 percent of each employee’s coverage and zero percent of their employees’ dependents’ coverage, which is far more affordable. Additionally, many employers fail to realize the remunerative value that providing employee health benefits can bring. For example, businesses that offer health benefits typically have higher staff retention and lower turnover, which saves a lot of money on hiring and training new staff. It also helps boost morale, which can result in higher levels of staff productivity and product quality. The bottom line: As an employer, offering your employees health benefits may be expensive, but it’s a worthwhile investment in your company’s future. 2. Hiring an insurance broker costs more than going directly through an insurance carrier. An insurance broker is a great resource if you’re an employer that provides employee health benefits. Essentially, your broker acts as a liaison between you and your insurance carrier, answering questions and making policy adjustments as needed. However, there’s a common misconception that hiring a broker is more expensive than going directly through an insurance carrier. This simply isn’t true—the price is exactly the same. Insurance brokers are paid a commission by the insurance company, but these fees aren’t passed on to the insured; rather, they come out of the insurance company’s overall profit. MENLO PARK — If you’re a small-business owner, you’re likely spending thousands of dollars each month to provide benefits for your employees. However, if you aren’t taking the time to communicate to your employees about their benefits, they may not understand how valuable they are—or that they even have them in the first place. Besides knowing they have benefits, it’s crucial that your employees know how to use them. The majority of your employees will probably never use their health plans for anything other than prescriptions or incidental treatments, but when they do, they’ll need to know the proper procedures and have the necessary identification (such as an insurance ID card). A great way to communicate with your employees about their benefits is to distribute an annual Summary of Benefits and Coverage, which describes in detail the various plans offered. Schedule an annual meeting to go over this vital document with your employees; this will give them a chance to get reacquainted with their available benefits and ask questions about how to use them. By taking time to communicate with your employees about their benefits, you’ll increase the likelihood that they’ll use them. Furthermore, this will remind your employees of the measures you’ve taken to ensure they’re covered, which can go a long way toward fostering appreciation and good business relationships. MENLO PARK — If you’re a small business owner with less than 25 employees, you may be eligible for a tax credit you didn’t know about. Under the 2015 Affordable Care Act, a new program was instituted that rewards employers who offer (or continue to offer) health insurance benefits by giving them a tax credit equivalent to as much as 50 percent of the premiums they pay. 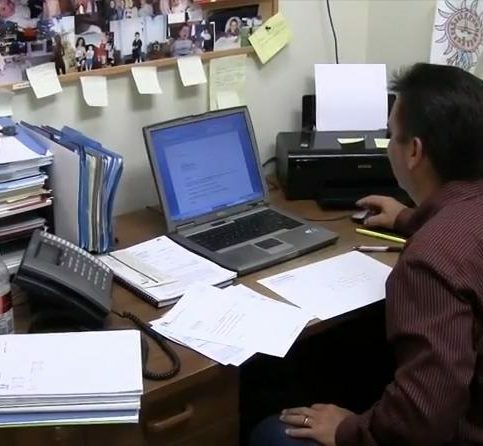 To qualify for this tax credit, your business must meet the following criteria: 1) you must have less than 25 full-time employees or their equivalents, 2) your employees’ average annual wages must be less than $50,000, 3) you must contribute at least 50 percent of your employees’ insurance premiums, and 4) the benefits must go through a California State Purchasing Pool for small employers. In many cases, employers who already offer insurance can continue with the same plans they already have. Don’t wait until it’s too late—inquire with your tax professional today to see if you qualify for this tax credit in the coming year. Diamond Certified Expert Contributor, Bob Vinal: Hi. Today let’s talk about employee benefits. Employee benefits is one of our largest costs as a small employer. We’re spending thousands of dollars each month and each year providing our employees with a valuable benefit. But do they appreciate the benefit? Do they know that the ID card that you gave them is an unlimited credit card? It’s a card that when they go to the hospital and something major happens, they’re covered. And no matter what the bill is, they’re covered for it. The other thing they really don’t understand is their benefits. So, they don’t understand how valuable this benefit is for you. You need to communicate that to them. You need to give them their Summary Benefit of Coverage. This is given every year to the employees so they understand what benefits they have and to answer some simple questions for them. They need to know when to use a plan and how to use the plan. 70% of your employees probably will never use a plan for anything but an incidental treatment, maybe a prescription. But when they do, they want that ID card to take care of business for them. You have to let them know how to use it. You’ve got a dental plan? Great. Tell them to use the dental plan. Again, the majority of your employees that you’re paying this great amount of dollars for don’t use a plan. Have them use it. Make them understand it. Money that you’re spending on them to keep them away from other employers, make them understand their benefits so they appreciate what you’re giving them. Small tip, but the communication that you or your broker can give them goes a long way in happy employees, healthy employees, and a great business relationship. MENLO PARK — Host, Sarah Rutan: If you’re a small business owner, you’ll want to know whether you’re eligible for a 2015 tax credit. Today we’re in Menlo Park with Diamond Certified Expert Contributor Bob Vinal of Bay Area Health Insurance Marketing to learn more. Diamond Certified Expert Contributor, Bob Vinal: I’d like to share a tip with how you can save your company thousands of dollars. The Affordable Care Act allocated funds for small employers to encourage them to offer their employees health insurance benefits. They want to do a dollar-for-dollar match for up to 50% of the premiums that you’ve paid. Ok, this can be a valuable benefit for qualified employers. To qualify you must have 25 or fewer employees or their equivalents. You must pay 50% of the employees’ medical premium. The salaries of the employees must be less than $50,000, but that doesn’t include the owners or the owner’s family – just the employees. Finally, you must purchase your plan through covered California Small Group Health Options Program, otherwise known as SHOP. Now, let me give you an example of how this can work. Ok, you pay $20,000 a year towards your employees’ medical premiums. If you qualify, you can get up to a 50% tax credit. That’s $10,000 – something that you don’t have to use that first year; it can roll over any unused tax credit for the next 20 years. Now, the SHOP offers Kaiser, Health Net, Blue Shield, and a few other carriers. These might be the same plans you already have, the same benefits you already have, the same doctors, the same hospitals, the same premiums—the only difference is a tax credit. Consult your tax professional today to see if this will work for you. 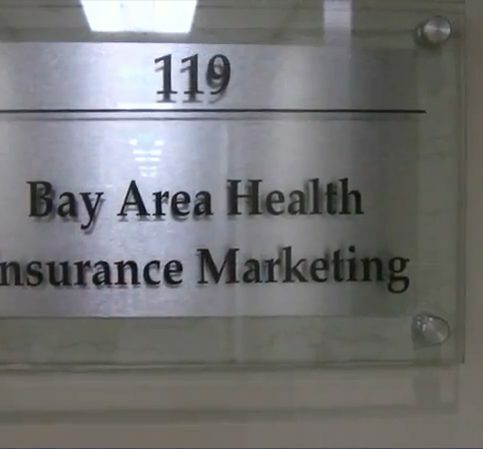 Diamond Certified RATINGS ON Bay Area Health Insurance Marketing, Inc.
Bay Area Health Insurance Marketing, Inc. : Average 9.4 out of 10 based on 282 unique customer surveys of customer satisfaction. They have been good, we have never had any issues with them. They are very prompt and responsive. They have a fast response time. I think they are very prompt, professional, and very responsive when you need them. They have various options and carriers available to meet a lot of different needs. I think they are a good agency, overall. Our agent is a great agent to have and is always checking in on us. I would suggest you call and speak with someone about the needs you might have, they have a lot of options. The consultation was very in depth on what coverages would be available and the included benefits that would be available. I like working with their office people and always like hearing from our agent, he usually has good news when he calls or emails. They are a good insurance agency, they care about their clients. They care, they always follow up within specific timeline, or deadlines. I have referred a couple different people to Scott, he is a good agent. The agency support is also really good. When we need something, they get it to us as soon as they can. I know when I send an email, it will get taken care of. They have been great, if we ever have questions we always get a prompt, detailed response, even if it isn't directly from our representative. They are prompt when needed. They are professional, efficient, and always send deadline updates, which makes me more efficient at doing my job. I'm really glad we chose them. Just what I said, they are professional, efficient, and always send updates. I would recommend them to Bob, he really knows his insurance and what will work best, he came up with a few options for us. The interaction with our agent, I feel like they really tailor the options for us. They are good. I would recommend them for any type of mid-sized business, small even. They really do look out for their book of clients. They are reliable and professional when we need them. Our agent is a good guy, he always checks in with us to make sure things are going well and we are not in need of any additional coverage based on changes. We get things in the mail, like nice reminder and such. I feel like they have been very resourceful for us. We have a couple special situations, and they were able to handle them with no issues. They are always looking into market availabilities for us. I like them, they have been very good at making sure we are all up to date with coverage. 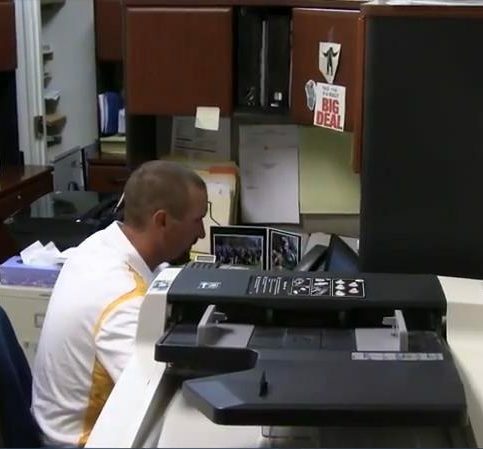 They are always checking into accounts to make sure everything is up to date. I like working with them, they make a difficult area of my job more simplified. They make all employee benefits simple. They deal with all the difficult things directly with the insurance company. They are a good agency. I feel like they understand benefits and what will work best for the company. People are satisfied with the options available. I think they have been very patient with us over the time we have been with them, sometimes we need their help more than not, and they are always willing to help out where they can. They are always willing to do what they can to get things worked out for new hires and what not. Our agent is very knowledgeable, he is always checking in with us, the service they provide is a lot better than going direct with a carrier. They deal with all the issues as our agent and help us figure out with what would be best for the business and its employees. Just what I mentioned, our agent is very knowledgeable, he is always checking in with us, the service they provide is a lot better than going direct with a carrier. I feel like they run a really well managed agency, they have to have a certain level of organization to operate at the capacity they do. They have a lot of different coverage options to choose from.